Thank you Colin so much for making our wedding day a truly wonderful day to remember ! Our guests are still talking about it to this day, it was a highlight we shall treasure, and we cannot thank you enough. It was a pleasure to have you again at our fundraising event Colin. Can’t thank you enough for all your help and we reached our target once again. Yippee ! See you next year ! Cheers Colin and Elaine – Lovely Whippy’s, great party Thanks. Wow. You made my party perfect, after I got over the shock of hearing the chimes roll up … and you singing Happy Birthday, loved pulling an ice cream by the way.. Just great, thank you thank you thank you !!! Thank you for making our day memorable and hilarious. Thank you so much for coming again and for supporting the fete – we really appreciate it ! Thank you also for increasing your donation, it is really kind of you. It was a pleasure to see you again at our Summer Fayre, thankfully the sun was shining, see you next year. Thank you Colin and Elaine for all your fundraising and support for Children In Need ! The event was a success. Super, perfect ! Very professional and so friendly ! It was a great to meet you, and thank you so much for attending at such short notice, we appreciate it. 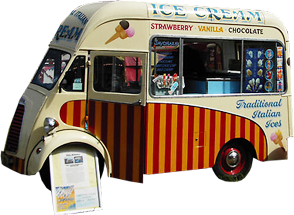 Thank you for making our school fete such a success, the ice cream van was a real highlight and delight, and the children loved it. See you again. Terrific Colin ! The Kids loved it nearly as much as the adults, lovely to meet you at last and thank you for making the kiddie event such a lovely day, thanks for your donation also, very kind of you. All the best, Lorna Wellington. Great job guys. Lots more work coming up for you ! Super vans ! The Antique van was a super hit, so many pictures in the newsletter of it ! Will send them on to you. Coombe Hill Fete was another success ! 5th year running, thank you Colin for bringing along your ice cream van, you’re booked for next year again. Cheers Chris. 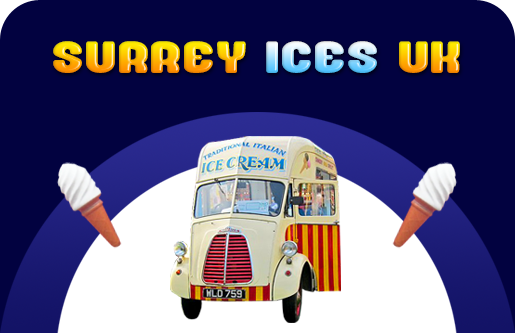 Surrey Ices – Top Job guys.